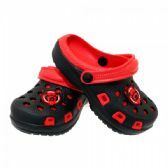 Looking for a wholesale manufacturer for footwear ? 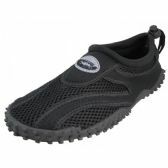 Buywholesalefootwear.com has over 5000 styles of the best moving footwear the market has to offer. 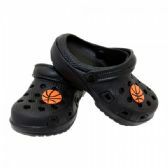 Buy wholesale foot wear specializes in all kinds of fashion footwear for men woman and children. 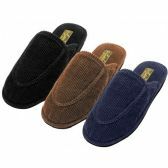 Wholesale bulk flip flops, plush slippers, woman's sandals and aqua socks are just a few of our best low priced footwear. Our selection in footwear is updated every season to fit the needs of the market. In the summer season you will find a large selction of well prices aqua socks that are used in many summer events as well as purchased by water parks and sport themed events. 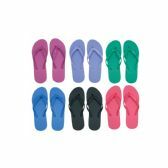 Beach shop owners love our selection of bulk priced flip flops with a 1 case minimum order. 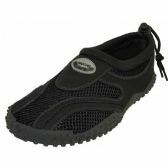 Our selection of wholesale summer footwear comes is many sizes to fit all age groups. In the fall and winter season buywholesalefootwear will offer tall rainboots made from rubber or pvc with fashion prints, ugg like plush boots, warm plush slippers, wholesale fashion slippers, warm slippers for children, ballet flats as well as toddlers footwear and toddlers slippers. 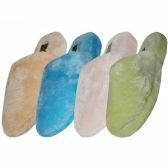 Many government agencies school, and camps will shop with us to find low price wholesale shower sandals for men and woman as well spa establishments to find low priced disposable sandals. Shop with buywholesale footwear to find low priced shoes everyday. No minimum order fast shipping and a service that we can rely on. Buywholesalefootwear offers great wholesale pricing on shoes, flip flops, sandals, and more! We will ship your orders and we are committed to offer you efficient and accountable customer service. Have questions with regards to sizes or styles? Please call our sales team to ask any product questions you may have.